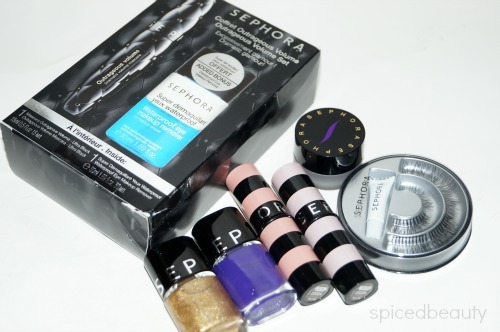 I don't know about you but I can spend all day in Sephora. Just swatching make-up and smelling scents. I know you can relate! One of the biggest gems in Sephora is their own support brand. Great price point and a lot of variety for all skin-tones. Next time you go be sure to check out what they have. I know it can be overwhelming at times- so I compiled a list of my top five products. Let's get started with the lips. 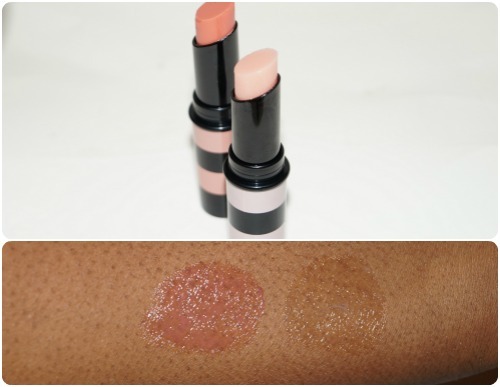 The Sephora Lovely Lips Lip Balm Duo - Salmon Pink & Light Pink ($15.00) are a must-have! I keep one in the car and one in my purse. You can wear them alone or underneath your lipstick. Sweet and delightfully pink, this lip balm duet provides a sheer wash of color for a hint of spring anytime of the year. The soft balm is enriched with karité, a hydrating, butter-like texture that protects and comforts the lips. Apply morning and night under or over your favorite shade of lipstick or gloss for an enchanting, warm look. Out of all the lash types out there, fringe always be my favourite. 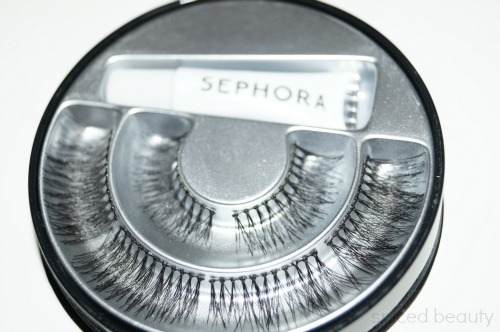 In my opinion, it's the most natural looking lash. Plus they can be cut to be used as accents. I love the fact that the Fringe Benefits Lashes ($12.00 CDN) comes with it's own glue. Once your done with them clean them off and it back in the "case". Bat stunning, show-stopping eyes with this set of gorgeous lashes. Go from day to night in an instant by applying one of the four tracks of lashes and customize a look that complements your mood. In the summer, it's great to have a multipurpose product like this. I carry my Waterproof Star Eye Shadow and Liner ($12.00) in my makeup bag for any last minute festivities. Purple night is pigmented and suits my skin-tone. Plus it does not budge! Rock an intense, ultra-luminous shade with this multitasking shadow and liner formula. The foam texture glides and blends flawlessly into the skin for pleasant application and a second skin-like sensation. The stay-put formula promises bold, beautiful color for hours. Bold nails are in for the summer! Sephora has some of the most vivid and glossy nail polishes that I've ever tried. 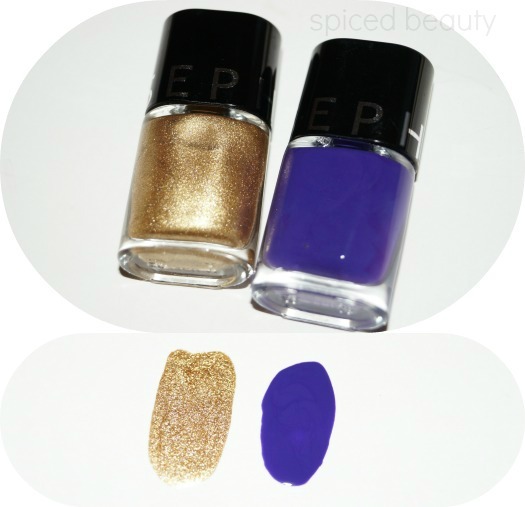 The Color Hit Nail Polishes are only $6.00 (CDN)! Love your nails with bright, beautiful colors that last. This collection is formulated with a unique combination of resins and waxes that provide fast drying, five-day shine. Get high coverage in one stroke, from classic must-have shades to vibrant, fashion-forward hues. Last but not least, every girl needs a great makeup remover and mascara. 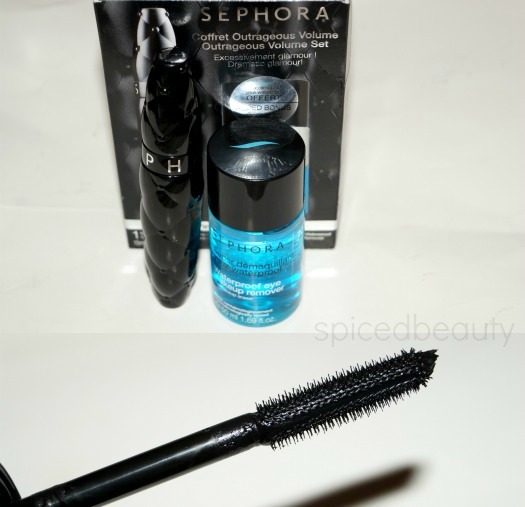 The mascara is great for building long luscious lashes. * Just let it dry in-between coats*. The makeup remover is great for removing the mascara and also for removing water proof makeup! The Outrageous Volume Set at only ($18.00 CDN) is a huge deal that you should get your hands on. Get outrageous. Outrageous Volume Mascara delivers extreme volume for lashes with a triple-reserve brush that intensely loads lashes in only one brush stroke. Waterproof Eye Makeup Remover is the makeup eraser, removing all types of makeup, even waterproof, without feeling greasy. It contains a complex rich in flavonoids and olive wood extracts to strengthen the appearance of lashes. You could probably do great Summer look using all of the items that I showed above. Is there a product shown that you would like to try out? Yes you seen the f-word in the title. F-A-L-L! Yes I said it. It's coming and we need to talk about it. In my opinion fall has the most gorgeous colour palettes and inspiration. I had the opportunity to attend an amazing Body Shop event back in June. It was the first time in a while that I've "ohhh" and "aweee" over products. Let's start off with Honeymania! I love honey. Grew up with it and I would never get tired of it. Trust me everything smells as good as it looks! 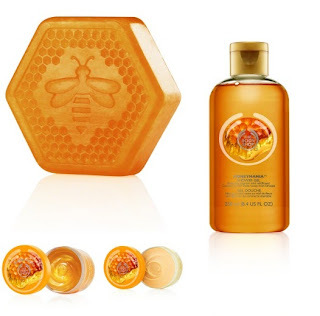 Honeymania features for rich community fair trade honey that comes from the Ethiopian rainforest. and the highest is the body butter at $20.00. This August is all about color! 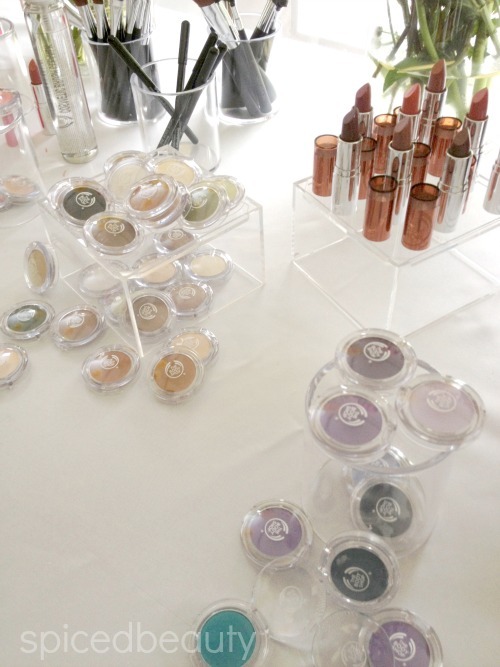 The new colour crush collection has 30 Mono eyeshadows to choose from. One of my favorite things about the shadow was the pigmentation and the staying power. These eyeshadows are blend of community fair trade Brazil nut oil, marula oil, honey, organic virgin coconut oil and sesame seed oil. Everything is 100% cruelty free. Each shadow cost $10. I could not leave the lipstick table. The new colour crush lipstick collection is something that you should definitely get your hands on. 24 vivid colors that range from the brightest reds to beautiful nudes and the sweetest pinks. Each lipstick is affordable at the price of $13. 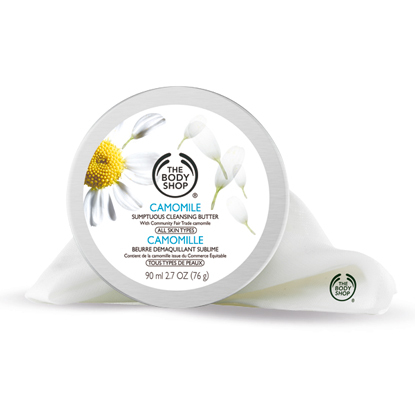 One product that should be on every beauty blogger list this August is the new camomile make-up removal collection. I fell in love with the cleansing butter ($16) &Muslin Cloth ($8.50). The Grand Opening Celebration for Toronto Premium Outlets’ ™ is next week! During the opening weekend, shoppers will enjoy four days (August 1 to 4) of live entertainment, in-store promotions and the chance to enter to win more than 125 prizes worth upwards of $25,000. Prizes include an Ultimate Getaway Weekend at Trump Hotel and Tower Toronto, a Spa Getaway from Rosewater Spa of Oakville or Burlington and even a Toronto Blue Jays autographed baseball. 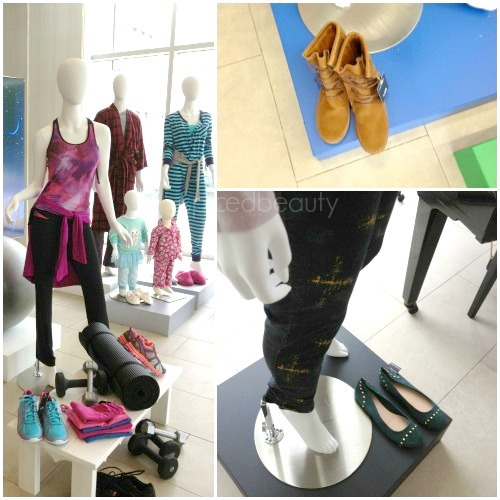 Individual outlet stores are offering many in-store specials during the grand opening weekend. Polo Ralph Lauren Factory Store will give away a $1,500 shopping spree. Mountain Warehouse will offer free gifts to the first 200 customers and Hudson’s Bay Outlet will offer 25% off your entire purchase. Those specials represent a small cross section of opening weekend deals with many stores offering deep discounts beyond the savings of 25%-65% shoppers can expect every day. The Grand Opening ceremony, scheduled for 9am on August 1, will feature a ribbon cutting and welcoming remarks by the President of Simon’s Premium Outlets division, John R. Klein, as well as local dignitaries and community leaders. A classic rock band as well as a group of culturally-diverse entertainers will perform throughout the weekend as the celebration continues. 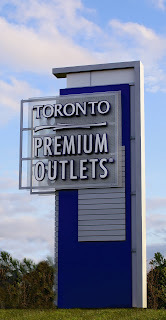 Did you know Toronto Premium Outlets™ will feature 85 outlet stores! Which includes many top American, British and Canadian brands. Totally worth the drive! 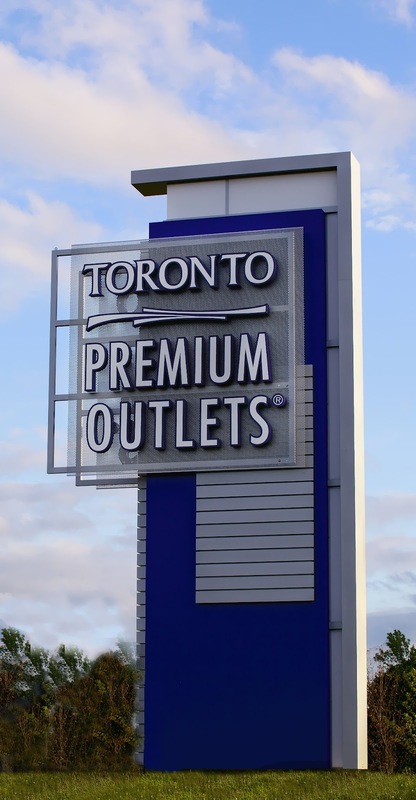 Toronto Premium Outlets™, with easy access off Highway 401 at the Trafalgar Road interchange in Halton Hills, is conveniently located near Lester B Pearson, downtown Toronto and key areas in Southern Ontario. I'm in the last minute stages of planning my vacation. The week is set but I still don't know where I want to go! I'm just ready to pack and get out of North America. Caribbean beach life will be mine... (even if it's just for 7 days.) One thing I know that I will have in abundance well be sunscreen. I got some great tips from Coppertone which will help you on your beach vacay! When is the best time to apply sunscreen? • Cover all exposed areas. Don’t forget ears, nose, the top of feet and the back of knees! Do I have to reapply after going for a swim? Reapply sunscreen at least every two hours, especially after swimming, vigorous activity, sweating or using a towel. What is the shelf-life of sunscreen? An expiry date will be indicated on the back of Coppertone products. Consumers should check the date before using a sun care product. 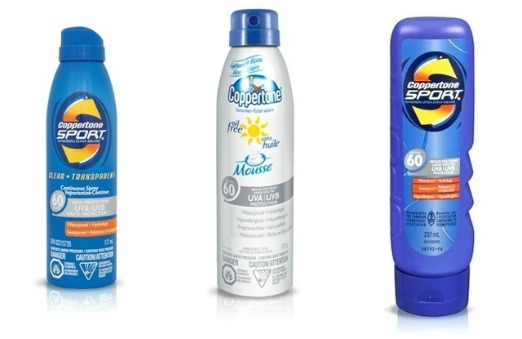 Coppertone Sport Sunscreen Lotion SPF 60 provides effective broad-spectrum UVA/UVB protection. 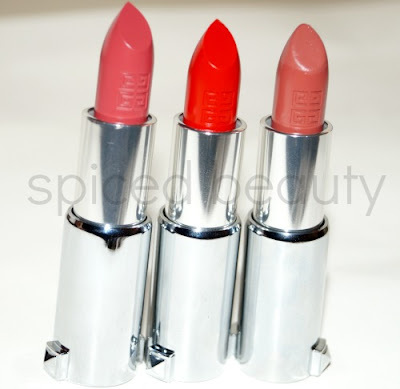 Once you get a hold of an amazing high end lipstick- you wonder how you could have used anything else! This was my first time trying a lipstick from Givenchy. I had no idea what to expect! 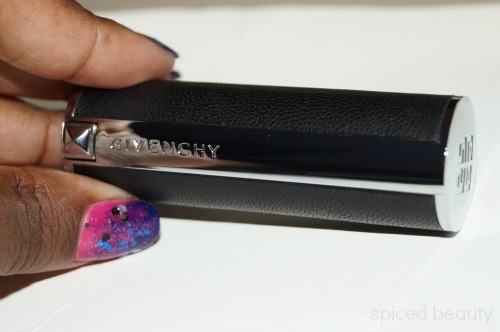 Let's start out with the Givenchy Le Rouge ($38.00) packaging. The lipstick is encased in a real leather packaging with silver accents. 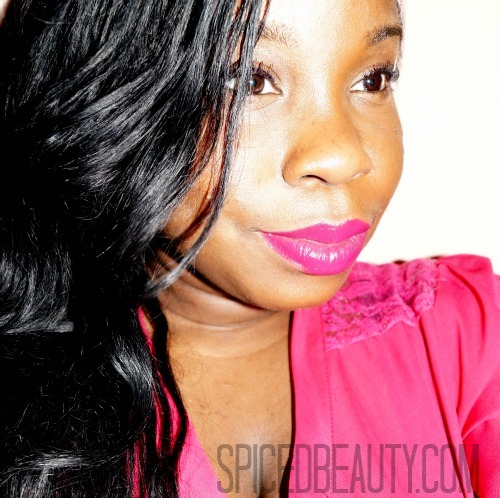 It's the perfect mix of a satin and matte lipstick. This lipstick-as-accessory delivers intense colors and a semi-mat finish all in one stroke. 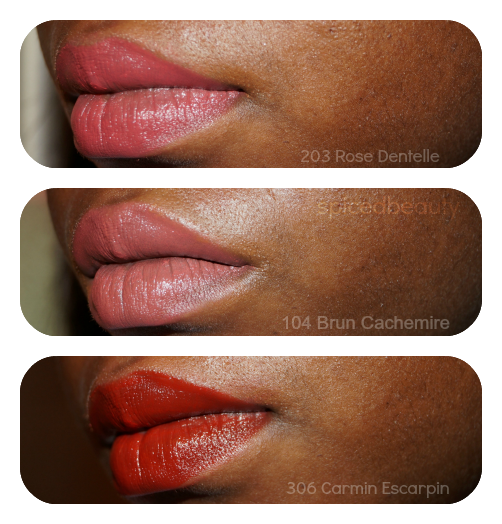 Which lipstick is your favourite? I do not wear foundation daily. I usually wear it on a night out or to an event. Lately my skin has been so oily this Spring. I'm serious! Oil blotters are currently my best friend- I cannot leave home without them but that's a whole other post. I'm always on a look out for foundations that work well for women of color. 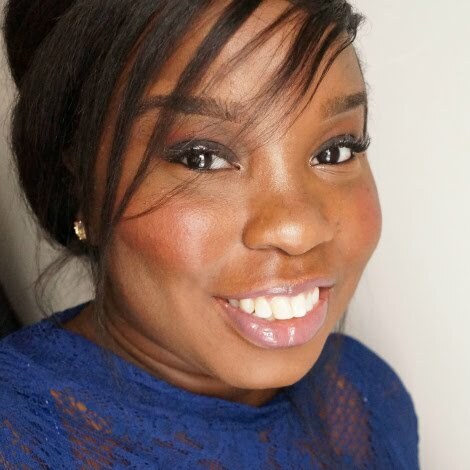 I've heard a lot of good things about hourglass foundation but the range only went up to beige and obviously that would not work for my skin tone. 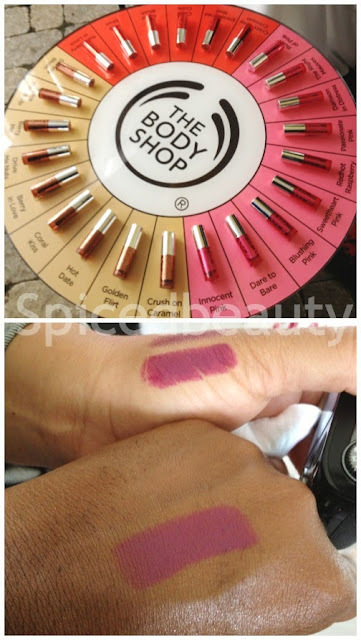 When I had the opportunity to review one of the eight new Immaculate shades, I first went to Sephora to get the sample to see which colour worked for me. I met an awesome sales associate who gave me a very large sample to try out before my bottle arrived. “Miracle Foundation For Oily Skin” - Immaculate Liquid Powder Foundation– just got more miraculous. As you may remember, the liquid to powder formula absorbs oil, camouflages imperfections, and delivers a long-lasting velvet matte finish—without the need for touchups. After an influx of emails from customers claiming Immaculate had improved their skin, we came to the realization that Immaculate was not only helping people with oil-absorption and shine-diffusion, it was also remedying their skin. I was very happy to see how this foundation held up. I honestly could go hours without having to blot my face and not worry about how I looked. I know that seems small but for someone like me who doesn't wear foundation- I always forget to check up and nothing is worst than going to an event or party and taking pictures and seeing how oily you look. Shoot!! No one could have warned me?!? Plus the Hourglass Immaculate Liquid Powder($64.00 CDN) has acne fighting properties. This is perfect for the girls who are afraid to wear foundation because they constantly break out. You might expect such phenomenal results from a high-tech, acne-fighting skincare product—but from your makeup? Not likely. Immaculate Liquid Powder Foundation bridges the gap between skincare and cosmetics with its paradigm-shifting formula. And it does so without resorting to ingredients like salicylic acid, which can lead to dryness and flaking. For women dealing with problematic skin, the idea of a foundation that delivers a flawless matte finish and simultaneously helps clear your complexion is a godsend. The overall look and texture of the foundation was really nice. I really liked applying it with the stippling brush. It doesn't matter what your skin tone is, if you are from light to a dark deep like myself- I would recommend that you definitely go to Sephora try out the foundations for yourself. I was blessed to have clear skin for 23 years. While everyone was going through bad break outs in their teens, I was living a "pimple-free" life. Once I turned 24, I started to get small break outs once a months. As odd as it seems when you get them when your older, it's embarrassing to get them. Although it's less than a week long, you have no idea where the next one would turn up. I'm always looking for products to use during that time. I try to switch my skin care schedule around that week just so I can shorten the duration of the break out. 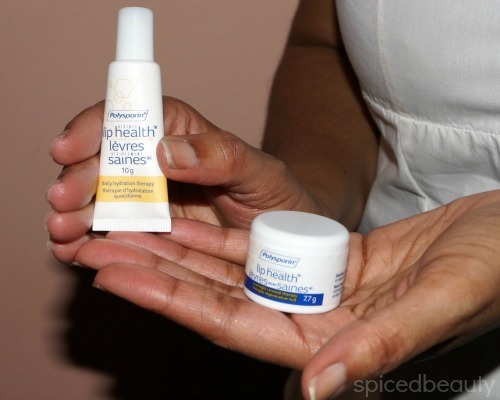 Two products that I have been trying is from Avon's clearskin line! When I was younger- I was obsessed with the line. I loved that blue scrub that they had. Right now, I introduced their Clearskin® Pore Penetrating Invigorating Scrub ($6.49 US) & Clearskin® Pore Penetrating Cooling Toner ($5.49 US) into my routine. The scrub is really good. The perfect scrub to use when your face is a little sensitive. Formulated with Eucalyptus Extract & Witch Hazel to cleanse and refresh. Lifts away pore-clogging dirt and excess oil. I usually put it on and let it dry- like in the picture. Then take a little water to "reactivate it" then wash it off. 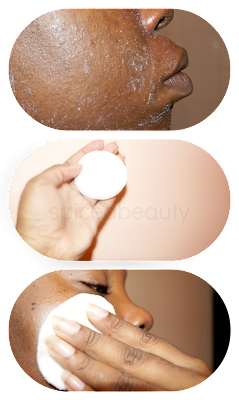 Then a take a cotton pad and apply the cooling toner. First starting on the problem areas then working my way around. I love this because it doesn't leave my face dry like other toners. These are a definite a must have! We made it half way through Summer and it wasn't bad! I will admit, I haven't done everything I wanted to but I am trying to take a vacation in the Caribbean. That's a whole other post! Right now, I am finding all my old dresses I packed away from last year ( I know I'm late) and getting the best use out of them. 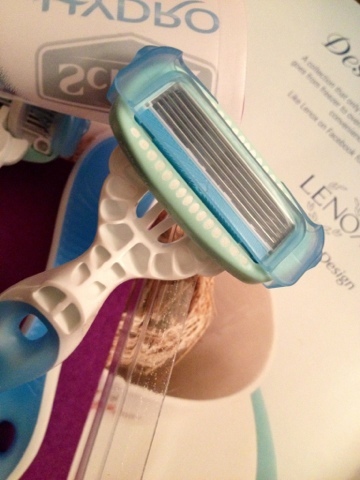 With that said, we all know that shaving your legs is a must. What do you guys think about disposable razors? I'll be honest- I usually avoid them! In my opinion, they lack style and control. Flashback to getting razor burns and getting bad nicks all over my legs. I had the opportunity to try out the Schick Hydro Silk® disposable razors and was pleasantly surprised. At first I didn't even notice that it wasn't the "refillable" kind like the (Schick Hydro Silk razor) that I reviewed in the past. It's fashionable and comfortable. It has rubber grip- so I won't lose it in the tub. Plus I don't need to use shaving cream when I use it because of the water activated serum. 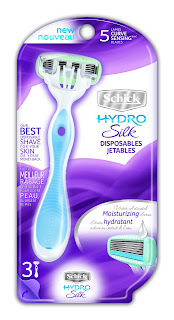 I have 15 Schick Hydro Silk® disposable razors to send out for test and review! Once you send in your review you will be entered to win a $50 Visa Gift card! Check out the Schick Hydro Silk Canada Facebook “Show your legs some sun” contest! Time for another hair post! The theme is "Maintenance". Summer is here and in my opinion it takes a bit more time to take care of your extensions. Pool parties, beaches, bbq and the overall sun can cause damage. I'm not an expert so I decided to ask Constance from Bella Dream Hair some quick real life questions/scenarios on hair maintenance. How do I get out tangles? You can use a paddle brush or a boar brush to comb the hair. I would recommend blowdrying the hair on a low setting, however air drying the hair is very important. I dyed the hair now it's horribly dry. What now? Co-washing the hair with a deep conditioner and leaving it in for at least 20 minutes can help replenish the hair after dying it. How do I straighten the hair without damaging it? 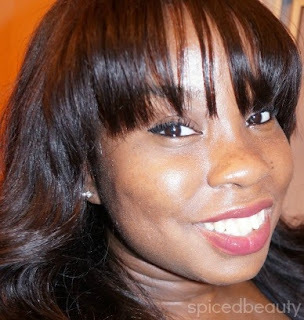 You should always use heat protectant when apply any heat to your hair. TRESemme Thermal Creations Heat Tamer Spray is a great one. How do I preserve the hair once I take it out? Storing the hair in a rectangular box with a lid will keep the hair clean and fresh. Be sure not to fold the hair or it will leave a bend in it. If you have an idea for a hair post- leave it below! I remember when it was difficult to get your hands on Moroccanoil products in Canada. You could either A) get it shipped from USA which resulted in high duty fees or B) Take a trip to Buffalo. Beginning July 1, 2013 (Canada Day), customers within Canada can now visit the official website, www.moroccanoil.com, and make fully authorized purchases from the entire range of hair and body care products. 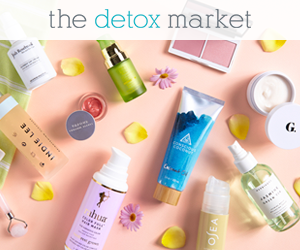 Designed to attract sales away from unauthorized online vendors, the brand’s e-commerce initiative features an innovative profit-sharing platform that rewards all facets of the distribution channel: whenever a customer purchases a hair care product, they will have the option to select from a list of participating salons that will benefit from a percentage of each sale. If a client chooses not to select a salon during their purchase, the closest Moroccanoil Loyalty Salon to their address will automatically be credited with the sale. The client is also sent a list of five Moroccanoil salons closest to their location along with their order. There are now hundreds of salons in Canada that are part of the Moroccanoil Loyalty Salon Program, which continues to grow rapidly. As a Canadian, it's amazing to get access to e-comm sites that cater to us. Deciding what to get on the site? Do you have any Moroccanoil favourites? My first encounter with George Clothing was back in 1999. On my first trip to an ASDA store in Manchester, England. I remember high quality products with affordable pricing. Fast forward to 2013! Nothing has changed. I had the opportunity to view the George Preview for Fall 2013. 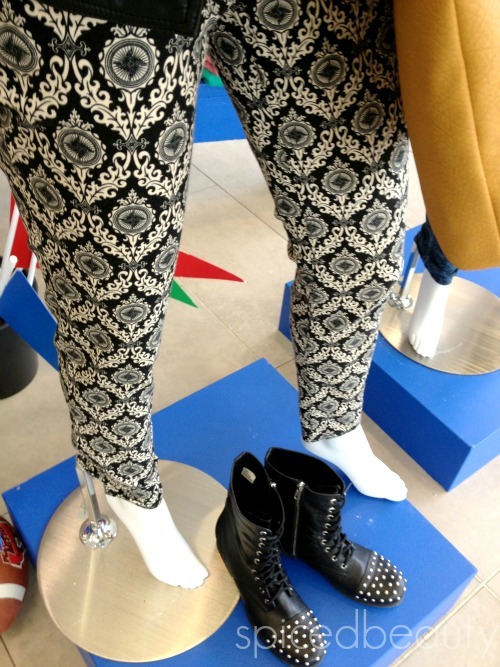 This fall at your local Walmart, you can get your hands on fab prints, metallics and studs! 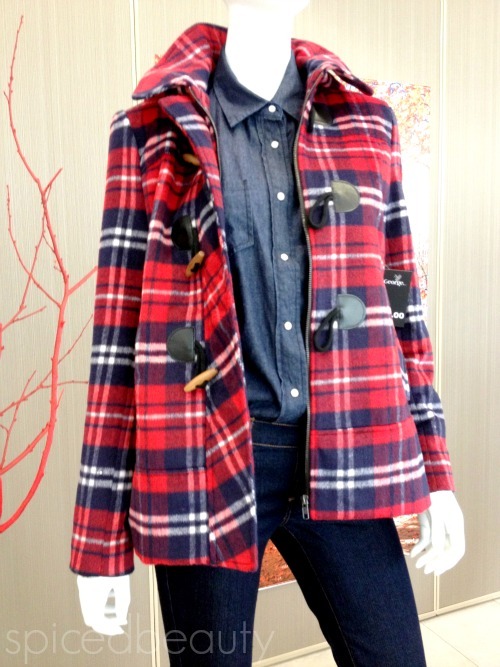 All items that I would definitely add to my Fall wardrobe. Lip health is important in the summer as it is in the winter. One of my biggest pet peeves is chapped lips. Seventy-seven per cent of Canadians feel an emotional impact if they have chapped lips. When there are amazing products out there like Polysporin’s Visible Lip Health out there, No one.. I repeat no one should have chapped lips. I was given the opportunity for my mom and I to be treated to an at-home spa experience. Totally what I needed after a stressful day at work! If you remember my review of Polysporin’s Visible Lip Health- Day & Night line last year, I was a huge fan. 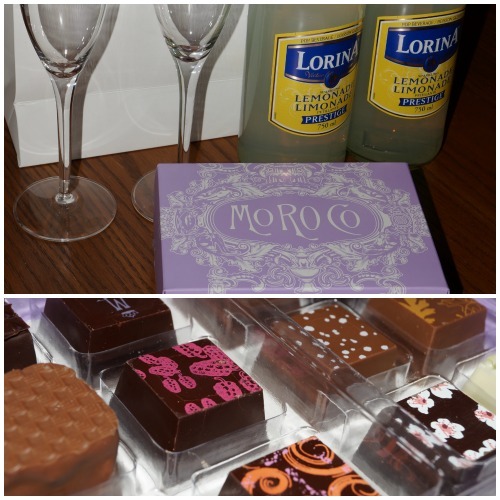 We were given lovely treats to get the night started! After stuffing our face with chocolates. 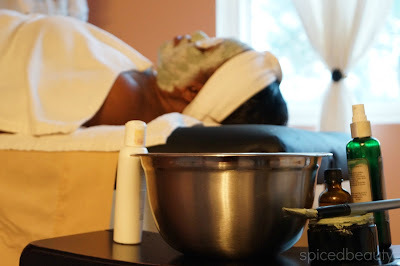 We were given a spa treatment which was an amazing facial + Massage by the Wright Spa Mobile Beauty Services! After the facial she give us a lip scrub then applied Polysporin’s Visible Lip Health- Day to our lips. Then it was followed by a full make-up consultation of the latest lip colour trends. Each product is $5.99 and can be found at Walmart! I was requested to start doing more nail posts. Which is prefect because my nail stash is growing out of control. 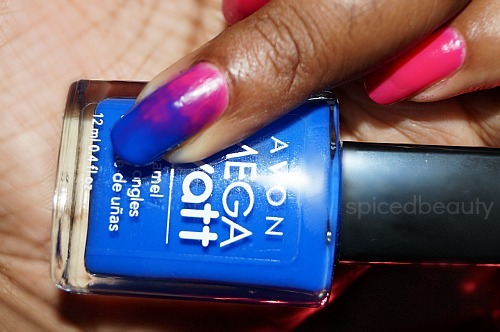 This week's nails are from the MegaWatt Nail Enamels collection from Avon! Break down the color barrier with these high-voltage neon shades! 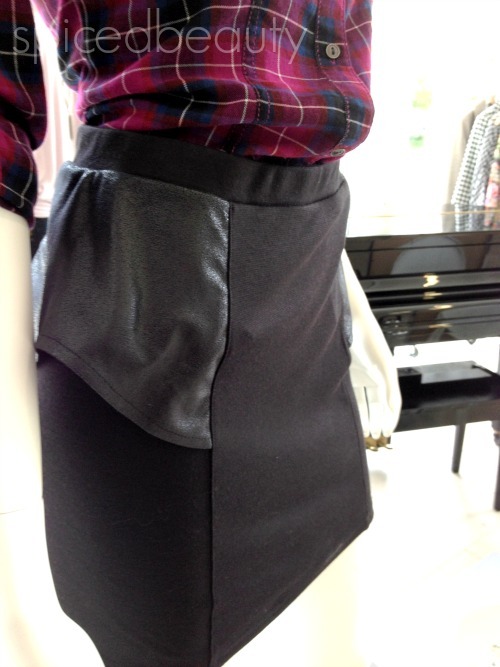 Leave subtle in the drawer and go for something bold. Something electrifying! Choose any one of our brilliant MegaWatt shades and you can be sure to upgrade your mani to a higher frequency! Neons are hot for the summer! To make my accent nail stand out, I did an ombre effect on top. Are you a fan of bold nails?